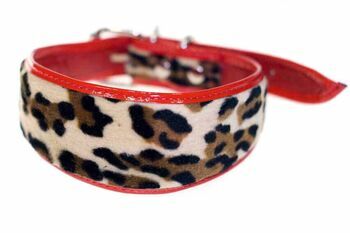 Hound collar made from faux fur leopard finished with contrsating red piping and softest goatskin leather lining. 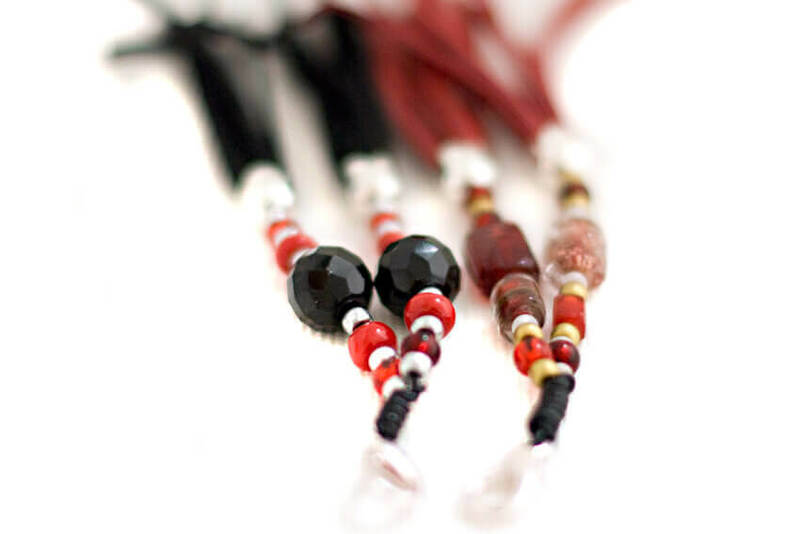 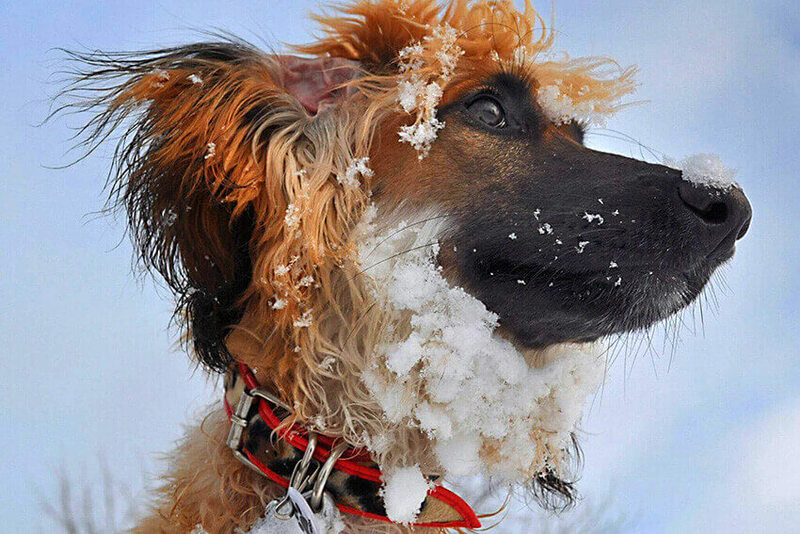 Stunning eye catching hound collar which is guaranteed to turn heads and noses! 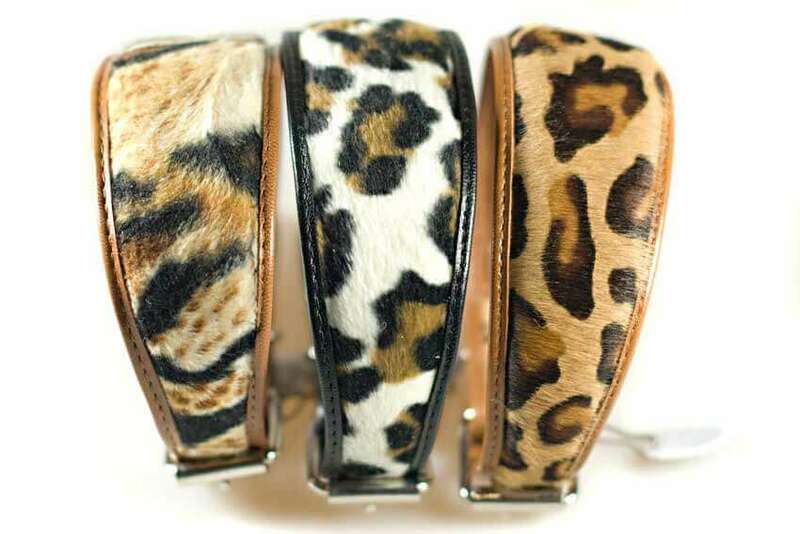 Red leopard hound collar has proved very popular and we are now sold out in Size S.
This red leopard hound collar is fully lined and padded, as are all our collars. 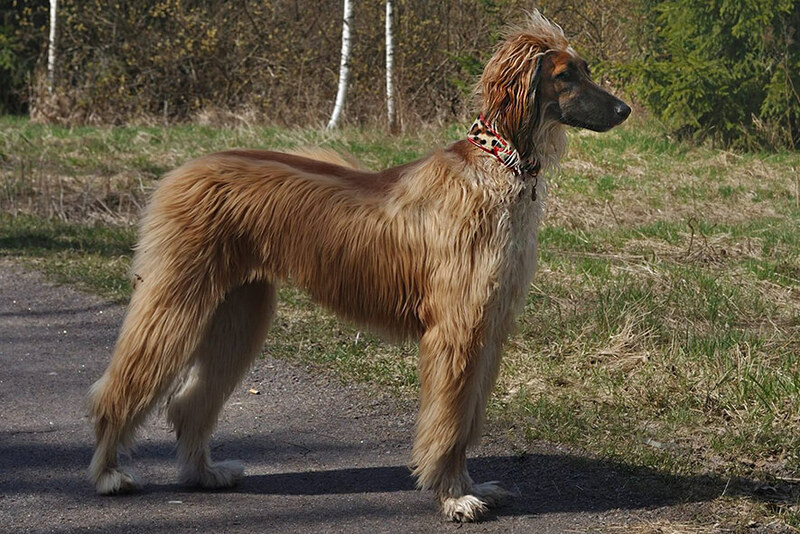 Due to the nature of this pattern no two hound collars are the same, each collar is unique.